Does Islam Prohibit Muslims From Befriending People of Other Faiths? The question is often raised that while Muslims constantly claim that Islam teaches them to live at peace with people of other faiths and to relate with them with kindness, love and concern, the reality is just the opposite, because, it is alleged, the Quran forbids Muslims from having social or other such relations with non-Muslims and has prohibited friendship with them. The first misunderstanding arises from a misreading of certain verses of the Quran that forbid Muslims from taking disbelievers as their walis. The Arabic word wali has been wrongly taken to be the synonymous of ‘friend’. In actual fact, there is no strict equivalent of the Arabic word al-wali or its derivatives in Urdu and English and many other languages. That is why it is often translated as dost in Urdu and ‘friend’ in English. It is this that causes people to wrongly believe that Islam forbids Muslims from taking non-Muslims as their friends. From this discussion, it is evident that these verses forbid Muslims from establishing secret ties with the disbelievers or assisting them secretly. These verses have nothing to do with forbidding friendship and good relations with non-Muslims in general. This is made even more clear when the Quran explains that the wala or close bonding that it forbids is that which denotes ‘help against the true believers’ (for instance, Surah Al-e Imran: 28; Surah Nisa: 139 and 144). This restriction or specification regarding the phrase ‘against the true believers’ itself indicates that the bonding that the Quran forbids is of that sort that entails helping disbelievers against the Muslims. The precise context of these verses, which is clearly evident in the verses themselves, must be properly understood. Without this, their actual import is likely to be misunderstood. The disbelievers that they refer to, whom it forbids Muslims from closely bonding with and helping, were those who were determined to wipe out Islam and were involved in a massive campaign for this purpose. They had even unleashed war against the Muslims. These included the polytheists of Mecca , who had declared open war against the Muslims, as well as the Jews of Medina. Besides provoking war against the Muslims, they were also trying to spread internal dissension, conflict and inter-tribal disputes among them and vilified Islam and the Prophet. At that time, Muslims had blood relatives or friends among both the polytheists of Mecca and the Jews of Medina. They had social relations and dealings with them. A number of hypocrites (munafiqin) among the Muslims also sympathized with the Meccan polytheists and the Medinan Jews, and they were proving to be skilled agents of the opponents of Islam in their conspiracies. The Quran unveiled the dangerous activities of this group of people. These subversive activities had reached such a dangerous point that in the ninth year of the Hijra the hypocrites set up their own centre, calling it a mosque, at Quba, whose aim was to undermine and destroy the polity at Medina headed by the Prophet, instigate dissensions among the Muslims, invite an army from outside to invade the town, and fan internal revolt (Quran 9: 107). Besides these inveterate hypocrites, there was also a group of people among the Muslims with weak faith, who used to oscillate between the Muslims and their opponents, depending on which way the wind was blowing. The hypocrites were, by and large, under the influence of the Medinan Jews, and were working to fulfill their agenda (see Surah al-Maida: 52). The Quran instructed the Prophet to warn these hypocrites to be ready to be punished in Hell for having established secret relations with the enemies of Islam. It is in this context that the Quran berates these hypocrites for choosing those disbelievers as their walis and leaving aside the true believers, in the mistaken expectation that, in this way, they could acquire respect and power. They sat along with the leaders of the disbelieving foes of Islam in their meetings, where the latter would mock Islam and the Prophet. The Quran says that these hypocrites used to remain in waiting, being neither fully with the Muslims nor fully with their enemies, so that if the Muslims were victorious, they could come to them, saying that they were with them, and that if the disbelievers triumphed, they could go to them, saying that they had assisted them in defeating the Muslims. This behaviour of the hypocrites is what the Quran refers to when it forbids the believers from taking disbelievers as their walis. As mentioned above, this group of hypocrites was heavily under the social and political influence of the Jews, and was hand-in-glove with them in their scurrilous propaganda against Islam and the Prophet. The Quran refers to this situation (particularly in Surah Ahazab and the Surah Noor). The leaders of the Jews mocked and reviled Islam, and in their meetings some Muslims would also be present. The pagan Arabs were also involved in this. These Jews and pagan Arabs tried to incite ordinary Muslims to disobey the Prophet and revolt against him. It was in this context that the Quran says that those in whose hearts there is a disease, that is to say who are hypocrites, rush towards the disbelievers to join hands with them for fear that otherwise they might fall into trouble. This is the sort of wala or solidarity (a termed related to the word wali) with the enemies of Islam who are bent on uprooting the faith that the Quran forbids. Obviously, a relationship of wala with such people would be a direct contradiction of one’s Islamic faith, as well as a grave threat to Islam and the Muslims at the political and social levels, too. O ye who believe! Take not into your intimacy those outside your ranks: They will not fail to corrupt you. They only desire your ruin: Rank hatred has already appeared from their mouths: What their hearts conceal is far worse. We have made plain to you the Signs, if ye have wisdom. Ah! ye are those who love them, but they love you not,- though ye believe in the whole of the Book. When they meet you, they say, "We believe": But when they are alone, they bite off the very tips of their fingers at you in their rage. Say: "Perish in you rage; Allah knoweth well all the secrets of the heart." If aught that is good befalls you, it grieves them; but if some misfortune overtakes you, they rejoice at it. But if ye are constant and do right, not the least harm will their cunning do to you; for Allah Compasseth round about all that they do (Quran 118-120). These verses specify that the foes that they refer to are those whose hearts burn with enmity and who are engaged in plots to destroy the Muslims. It does not refer to ordinary, well-meaning, kind and sincere people of other faiths. The true import of these commandments can be properly understood from the fact that in a very highly secretive and sensitive matter, the migration of the Prophet from Mecca to Medina , the Prophet not only shared his plans with a non-Muslim, Abdullah ibn Arqad, but also fully trusted him. This fact clearly suggests that these verses forbid taking as confidants and intimates only those non-Muslims who are enemies of Islam and its followers. It is, thus, obvious, and needs no explanation, that a non-Muslim of good character is much better to have as a friend and confidant than a person who is Muslim in name alone and is a hypocrite and an opportunist. This verse strongly and explicitly forbids Muslims from taking disbelievers as their walis, but here, too, it does not refer to all non-Muslims in general. Rather, it refers only to those who ‘have rejected the Truth […] and have driven out the Messenger and yourselves (from your homes), (simply) because ye believe in Allah your Lord’. Allah forbids you not, with regard to those who fight you not for (your) Faith nor drive you out of your homes, from dealing kindly and justly with them: for Allah loveth those who are just. (8) Allah only forbids you, with regard to those who fight you for (your) Faith, and drive you out of your homes, and support (others) in driving you out, from turning to them (for friendship and protection). It is such as turn to them (in these circumstances) that do wrong (60:8-9). These verses very explicitly show precisely what sort of non-Muslims the Muslims have been prohibited by the Quran to take as their walis, and, on the other hand, which non-Muslims this prohibition does not apply to. From this discussion, it is clear that Muslims can, indeed non-Muslims who do not bear any enmity against Islam and its adherents and are not engaged in any activities against them as their friends. ‘O ye who believe! Take not My enemies and yours as friends (or protectors)― offering them (your) love, even though they have rejected the Truth that has come to you, and have (on the contrary) driven out the Messenger and yourselves (from your homes), (simply) because ye believe in Allah your Lord! If ye have come out to strive in My Way and to seek My Good Pleasure (take them not as friends), holding secret converse of love (and friendship) with them: for I know full well all that ye conceal and all that ye reveal. And any of you that does this has strayed from the Straight Path’ (60:1). ‘Say: "No reward do I ask of you for this except the love of those near of kin." And if anyone earns any good, We shall give him an increase of good in respect thereof: for Allah is Oft-Forgiving, Most Ready to appreciate (service) (Quran: 42: 23). On the basis of this verse, can anyone at all argue that it meant that the Prophet was demanding a one-sided love from these people, and that, in return for this, he hated them instead of loving them for being his near relatives? Of course not! Can any one claim that the Prophet hated his uncle, Abu Talib, who had protected him [Unlike Shias, Sunnis believe that Abu Talib, father of Imam Ali, did not accept Islam although till his death he provided protection to the Prophet from his Meccan opponents—YS]? Not at all! No one can make such a preposterous claim. Undoubtedly, the Prophet loved his uncle Abu Talib very dearly. God does not forbid you regarding those who have not fought you on account of the Religion, and have not expelled you from your homes, that you should be virtuous to them and be equitable with them; surely God loves the equitable. God forbids you only regarding those who have fought you on account of Religion, and have expelled you from your homes, and have given support in your expulsion, that you should take them for friends; and whoso takes them for friends, those are the wrong-doers (Quran: 60: 8-9). It is obvious that this argument is absurd and erroneous. It represents a gross misinterpretation or misunderstanding of Islamic teachings. There is no basis for such a claim in the Quran. Rather, there are enough references in the Quran to challenge and rebut this argument. It is necessary to urgently critique and to do away with these wrong interpretations, which pose a major barrier in promoting better relations between Muslims and other peoples. In today’s world, one of the most crucial issues that we are faced with is the urgent need for different communities and civilizations to understand each other and to improve and strengthen their mutual relations. Modern developments have shrunk the world into a global village. Consequently, countries and communities are now heavily inter-dependent in order to sustain their lives. Different communities are now rapidly influencing each other at the social, economic, cultural and political levels. Increasingly, communities are influenced by each other’s ways of life, customs, practices and beliefs, not hesitating to adopt those that they find useful or good. Gradually, this is moving in the direction of a composite culture. In this context, inter-cultural dialogue assumes a particular urgency. This is especially the case in a country where numerous cultural groups live together, where it is imperative that they must learn to respect each other’s rights, customs, mores and traditions. In the absence of this, particularly if one culture seeks to dominate or impose itself on others, such a society will inevitably move towards conflict and violence. This is why it is so necessary to seek to promote strong bonds of solidarity, based on dialogue, between people of different cultures and religions. This is needed not just for the proper evolution of these cultures and so that can learn from each other, but also for ensuring global peace and security. When cultures learn to not just tolerate each other but also to work together with others for their mutual advancement, they become supports of each other and a means for peace, rather than conflict. In this way, they can translate into vehicles for the promotion of mutually beneficial relations at all levels—cultural, social, political and economic. Some people argue that each culture should be allowed to grow on its own, in isolation from others. This suggestion is simply unworkable, because if a culture restricts and cocoons itself in this manner its rapid death is inevitable. In today’s world, no culture can even conceive of, leave alone claim to, exist isolated from other cultures because every cultural group’s very existence is now so heavily dependent on other groups. Global progress, peace and welfare are a common need and a shared aim of all the communities of the world, without which each community cannot properly prosper. Some other people are of the view that each culture should be given full freedom to expand, even though this might mean that one particular culture finally dominates the entire world. Yet, this is a sure recipe for conflict. The same result would follow from another approach to inter-cultural relations that is rooted in a vision of cultural hegemony that refuses to tolerate the existence of other cultures and seeks to wipe them out or else subjugate them. Obviously, this is a totally unrealistic approach. It is also a negation of a basic message of all Divinely-revealed religions, according to which all human beings are made of the same basic substance and are offspring of the same primal parents, and that, till the Day of Judgment, all human beings will remain tied to each other through their shared humanity. This bond of humanity that knits together all people is the primary, most basic and strongest of all relations. In a plural society, where people of different religions, ethnicities, language groups and cultures live together, every group must be given equal rights and the same opportunities to progress. This can only be ensured and sustained through continuous inter-community dialogue. In my view, the only way to prevent inter-cultural or inter-religious conflict, as well as to promote harmonious inter-community relations in a plural society and at the global level, is serious dialogue that aims at improving relations between different communities so that they jointly work for establishing peace. The point then arises as to what the bases of such dialogue should be. Should dialogue concern itself simply with the niceties of the philosophies of different cultural groups? Should dialogue remain restricted only to the theological level? Should dialogue be limited simply to preaching about peaceful coexistence? Or, should it, as I believe, go beyond this to focus particularly on the various social and other such problems and issues that different cultural groups face in common? Until inter-cultural dialogue takes up these common problems as well as issues of common interest as its bases, it will remain very superficial. This is why I believe that the first stage in inter-cultural dialogue is for members of different cultural communities to identify issues of common concern as well as common interest, particularly those problems that are a hurdle to better relations between various communities. The second step is to evolve means to address these issues through peaceful and sustained dialogue. But this must be carried out in a spirit of mutual respect, for no dialogue can succeed if it involves abusing or debasing the religious feelings and beliefs of other communities. (This is a translation of extracts from Maulvi Nadwi’s Urdu booklet, ‘Muzakirat Ki Zarurat’ (‘The Need For Dialogue’ (New Delhi: Institute of Objective Studies, 2005). You had interviewed Rabbi Gordis on importance of dialogue several years ago, I continue to refer to that article uploaded on the website foundation for pluralism, and now this work of Maulana Nadvi on dialogue is an eye opener. I am pleased that the original is in Urdu; its major consumers. Indeed, the Muslims of the subcontinent will be further served if you could translate a few articles in Urdu, Bangla and other languages. There is no room for coercion in Islam. Islam appeals to people’s intellect, their minds, their sense of logic and reasoning in order to stress its claims. This principle can lay the basis for good relations between Muslims and people of other persuasions. Islam is not opposed to Muslims establishing social, economic or educational relations and bonds with others. This is why, from the early days of Islam onwards, Muslims have had these sorts of relations with others. The fundamental basis of such relations, as Islam understands it, is to jointly work against oppression and for establishing justice and peace. A second basis is the Islamic belief that all creatures are members of the family of God, and that, hence, they must be served. The third theological basis of inter-community relations and dialogue in Islam is the duty to respect the rights of all human beings. Islam insists that there can be no compromise on its ideological principles, such as faith in the one God, prophethood, and the Day of Judgment. Besides this, there can be dialogue and discussion on all issues. Dialogue should also take a practical form, such as Muslims working together with others for constructive purposes, helping them or taking their help. Islam exhorts Muslims to respect others on the basis of their common humanity. It stresses social justice, peace and struggling against oppression, and for this Muslims can indeed join hands with others to work for a better world for everyone. This is a very important form of inter-religious and inter-community dialogue. When two individuals are together, inevitably they start talking to each other. Without this, they cannot understand one another. If dialogue and interaction are so indispensable at the level of two individuals, how much more important it must be at the level of two or more cultures and religions! Obviously, unless members of different religious or cultural communities dialogue with each other there is no way they can truly understand one other. It is completely unreasonable to expect that cultural and religious communities can live in isolation with each other and not feel the need to understand each other’s beliefs, practices, issues, concerns and problems. Such isolationism will spell doom for the whole of humankind. It is also a form of escapism, and, undoubtedly, a reflection of obscurantism. The future of humankind critically depends on people of different communities understanding each other and jointly struggling for a more just and peaceful world, to work towards ending illiteracy, poverty, war, conflict and disease wherever these may be found. The fundamental foundation of productive and sustainable dialogue is for religious and cultural groups to first understand each other properly and, on that basis, to come closer to each other. For this purpose, it is necessary to study in detail about other’s cultures and religions, their languages, histories, beliefs, practices and traditions directly, from their primary sources, in an unbiased manner. This should also go along with efforts to devise means to work together with other communities to solve their problems and address their concerns. Only in this way can cultures come closer to each other. Typically, human beings people do not understand the truth or usefulness of a matter unless they see themselves as benefiting from it. Thus, inter-cultural and inter-religious dialogue must provide tangible benefits to people, such as helping them solve their problems or mitigating or ending their conflicts. No one’s wounds can be healed or their empty stomachs filled simply by preaching to them about philosophical niceties or lecturing to them about ideological issues. This cannot tear down the walls of hatred that divide people. People have to see direct benefits accruing to themselves from dialogue for them to appreciate its importance. Hence, the most productive form of inter-religious and inter-community dialogue is to understand the causes of conflicts and differences between different religio-cultural groups and then involve people from all parties to dialogue together to jointly work out solutions, which will benefit the parties or communities involved in the dialogue. Similarly, they can work together for their common interests, including on economic, political, and social issues. This effort can start at the local level and then go all the way up to the national and international levels, too. When seeking to initiate inter-religious or inter-cultural dialogue, it is crucial not to start with negative issues, because this is a sure way for dialogue efforts to fail. Rather, the focus should, as far as possible, be on positive issues and a constructive agenda. Likewise, it is not proper to seek to initiate a dialogue by harping on past events or grievances. Instead, the focus must be on the present, for the aim of the dialogue is essentially to improve the present conditions of, and relations between, two or more communities, not to harp on the past. For such dialogue to succeed, partners to the dialogue must be willing to make sacrifices. They must be tolerant and broad-minded. They must take into account other people’s sensitivities and emotions and always be conscious not to seek to trample on their rights. Successful dialogue requires that partners be genuinely committed to work for peace, freedom, justice and good relations. Another principle that must always be kept in mind when thinking about or engaging in dialogue is that to consider any other culture bad or to label it so is not proper. Islam forbids Muslims from abusing the deities of polytheists. This is so because this might provoke them to react in a similar way. This Islamic teaching suggests to us that Muslims must not abuse or vilify other cultures or brand them as enemies. The rapidly changing world of today requires that all cultures must reconsider their ways of relating to each other, and work together for peace and prosperity for all. In our own country, India , home to numerous different religious and cultural communities, dialogue for this purpose is extremely necessary today. Unfortunately, the different religious communities in India know little about each other. This has given rise to numerous misunderstandings, which, in turn, continue to fuel conflict and violence. Very few Indians belonging to one community have studied, in a dispassionate and detailed manner, the religion, customs, beliefs, traditions and world-views of other communities living in the country in order to properly and dispassionately understand them. There are extremely few Muslims who have studied Sanskrit, the language of the Hindu scriptures, so that they could directly read and understand the Gita, the Puranas, the Ramayana, the Vedas and so on. Hardly any Muslims have studied the Pali language in order to read the Buddhist scriptures. There must be almost no Muslims who have directly met and interacted with Hindu, Buddhist and Jain religious leaders. Probably no Muslim has visited, or stayed for a while in, Hindu religious schools and other such institutions and their pilgrimage sites so as to directly understand them. The same holds true in the case of all the other communities in India . There are hardly any Hindus who have read the Islamic texts, and have met, interacted and exchanged views with Muslim ulema. The distance between Hindus and Muslims has become so wide now that the doors of Hindu gurukuls and Muslim madrasas are closed to other communities, and both of them are characterized by a heightened sense of fear, insecurity and defensiveness. All this so alarmingly suggests how distant the various communities of India are from each other. In fact, hatred between many of these communities has rapidly escalated in recent years, making the task of dialogue particularly difficult. Yet, dialoguing is an urgent task that must be taken up at all levels and as widely as possible. Dialogue is not the task only of our religious leaders and organizations, although they have a very crucial role to play in this. They must interact with their counterparts in other communities so as to create a climate of trust and dispel mutual suspicions and misunderstandings. This sort of dialogue is indispensable for the peace and prosperity of our common homeland. The different religio-cultural communities of our country also need to dialogue and unite to struggle against the baneful impact of many aspects of the dominant Western culture that is now playing such havoc with our cultures and mores. Inter-community dialogue is indispensable to promote the unity and prosperity of our country and its traditional cultures. In this regard, I wish to point out that a major hurdle in this regard, and a cause for much acrimony, is the tendency of some people who, just because they are in a minority, insist that they have accepted the country’s political system and Constitution only out of compulsion, and claim that the moment they are able to gather enough power they will refuse to accept the Government and the Constitution of the land. This attitude has, in fact, become a major cause for concern throughout the world. Extremists, no matter what their religious identity, who espouse this view will not hesitate to use every means to capture power in the hope of thereby bringing about the Revolution of their dreams. Naturally, others will not take lightly to this. That is why conflict, force and violence must be avoided. We need to struggle against these authoritarian tendencies, and, through dialogue, work to ensure that all people get the same rights and opportunities to live and prosper. This is the only way out for global, as well national and local, peace, welfare and justice. (This is an edited version of translation of extracts from Maulvi Nadwi’s Urdu booklet, ‘Muzakirat Ki Zarurat’ (‘The Need For Dialogue’ (New Delhi: Institute of Objective Studies, 2005). The tension between the US and the Muslim World has been steadily escalating with both sides resorting to steps that undermine the prospects for more peaceful and cooperative US-Muslim relations. Western Muslims, in America and Europe, suffer directly as a result of this escalation. They are being targeted as a potential fifth column and though they have responded admirably to face the new challenges, their circumstances continue to deteriorate. The presence of a persistent anti-western extremism within a small minority of Western Muslims exacerbates the plight of Western Muslims and undermines all their efforts to improve relations with the broader Western communities and allay fears that Islam in the West is a threat to democracy and security. The Bush administrationâ€™s tactics of keeping the fear, anger and resentment triggered by the 9/11 catastrophe alive in order to advance the conservative agenda combined with frustration of American goals in Iraq and a sense of being at war with Muslim extremism has made many Americans increasingly hostile towards Islam and Muslims. Polls conducted in the US suggest that while 38% Americans hold very negative views about Islam and Muslims, only 2% have anything nice to say about them [survey conducted by CAIR Survey, November 2004] and over 44% of Americans are willing to deprive Muslims freedoms and rights available to other Americans [A survey by Cornell University, December 2004]. The world has never been more interdependent and the plight of Western Muslims is illustrative of how global integration is now a palpable reality. The murder of a Dutch film producer, Theo Van Gogh, allegedly by a disenchanted Dutch Muslim [Mohammed Bouyeri, 26], the denial of a visa to the US for a Swiss Muslim scholar, Tariq Ramadan, or the humiliating deportation of a British Muslim, Yusuf Islam, from the US immediately on arrival are all front page news all over the world. Not only do these episodes draw widespread attention from the media, they feed upon and fuel the new crisis in Western Civilization â€“ â€œIslam in the Westâ€. When a Dutch animal rights activist, Volkert van der Graaf, murdered a Dutch politician, Pim Fortuyn in 2002, it did not raise questions about the compatibility of the philosophy of rights and the West. But when a Dutch Muslim murders a Dutch film producer, it raises profound questions not just about Islamâ€™s compatibility with modernity and democracy but also about the ability of Western Muslims to live in a democratic society. Even though such outrageous episodes are extremely rare, the fear of Islam and the now embedded antipathy towards Muslims, frequently surfaces in the western media, in popular discourse, in casual conversation, in parliamentary discussions and in new legislations. As long as relations between Western societies and the Muslim World remain less than cordial, Western Muslims face the reality of Islamopheobia and as a result they will remain second-class citizens, constantly watched, regularly demonized, systematically marginalized, feared, despised and portrayed as a potential fifth column. Defending the innocence of Western Muslims, and speaking about tolerance and Islamic teachings on peace and violence, has become the most important communal activity of western Muslims. The Challenge for Western Muslims today is existential. If things get worse what will happen to them? Some fear the rhetoric and recommendations of Islamopheobic political commentators who exaggerate and exacerbate the situation, questioning the patriotism of Muslim communities in the West and even raising the example of the internment of Americans of Japanese origin during World War II. Will the West create another â€œIsraelâ€ to solve the problem of the new Jews of the West? The fact that there are nearly 20-30 million Muslims in the West makes such drastic solutions impossible. Those who are bewildered that we are even considering this possibility must remember not only what happened to Japanese Americans but also what happened to Muslims in Spain who disappeared after ruling Spain for 700 years. There are three routes available to Western nations with regards to their Muslim populations. They are marginalization, assimilation and accommodation. The first implies dis-empowering the community, reducing its influence and its rights and making its presence insignificant. The Bush administration has adopted this policy since 9/11. The second strategy is to reform Islam and Muslims, secularize them to such an extent that the difference does not make a difference. The French have embarked on this strategy and face a lot of resistance. This strategy causes disharmony and divisions within society and undermines democracy. Accommodation, a strategy that was adopted by the US before 9/11, by the UK, Canada and Netherlands is for Muslims the best option. But in order to push Western nations to adopt the strategy of accommodation and resist the political pressure from xenophobic right-wingers to do otherwise, Western Muslims will have to manage their politics with foresight, prudence, and patience. There are three potential dangers that Western Muslims face. Increased anti-western terrorism in the Muslim World which fuels Islamopheobia, enhances the political influence of Western anti-Muslim extremists and enables the institutionalization of legislation designed to undermine the influence of Muslims. The bush administrationâ€™s foreign policy that is geared towards the projection of American power and reassertion of American hegemony in the Middle East is another threat to Western Muslims. Aggressive American unilateralism triggers events and actions that ultimately undermine the security and well being of Western Muslims. The third danger to Western Muslim future is homegrown extremism. While western Muslims at the moment can do little to reduce the first two dangers beyond engaging in dialogues â€“ political and religious â€“ at various levels, they can and must play an aggressive and decisive role in eliminating internal extremism that resonates with extremism in the Muslim World. Extremist discourse, actions and postures by a small minority of Western Muslims not only undermines the efforts of the vast majority to improve Western-Islamic relations, they also provide concrete evidence of the most egregious stereotypes of Islam and Muslims. Western Muslim community leaders, activists and scholars must condemn and reject any and all forms of extremist rhetoric coming from Jumma Khutbas, public statements on TV and other media and from Muslim publications themselves. Care must be taken to not only moderate Muslim public discourse but also Muslim-Muslim discourse in order to ensure that extremism and vehement anti-Westernism do not take root in the community. Islam and Muslims in the West can be critical of the West and Western ideals but cannot and must not be anti-West. The critical distinction between being opposed to American foreign policy in the Muslim World and being anti-American must be maintained. While a vast majority of Western Muslims have the same basic desires as many others â€“ material well being, cultural acceptance and the opportunity to practice their faith without social and political intimidation â€“ some of them however wish to use their geographic location as an asset in their war against the perceived enemies of Islam. The argument made by some that radical Islam is well deeply embedded in the West and the community western Muslims hides in its bosom many secret sleeper terrorist cells is patently false and such claims must be seen as racist and religiously bigoted. No community has been so closely scrutinized as Muslims in America and no widespread threat has been uncovered. The 9/11 Commission fully exonerated the community of any connection to terrorism. Nevertheless in every Muslim community there is a small group of individuals angry with the West and fearing that Islam is being destroyed. In their ignorance and anger they say and do counter-productive and dangerous things. The continuous barrage of images of Arab and Muslim humiliation and defeats from Iraq and Palestine make it difficult for even those most pacific to remain calm. Occasionally people lose control and say things that hurt them as well as the community. Most people in the West are sensible and recognize isolated episodes of violence or intemperate rants as isolated. However there are three issues on which a small minority of Western Muslims, continue to alienate Western populations from Islam and Muslims. Justifying Suicide Bombing: The images of the attacks of September 11th and the many victims of suicide bombings in Iraq and Israel have become etched on the Western psyche. Suicide bombing has become an epitome, a metaphor for of all that is evil in this world and all that is terrible about Islam and Muslims. Even though most Muslims everywhere â€“ with notable exceptions of course â€“ condemn suicide bombing as unIslamic and when targeting civilians as an abhorrent form of terrorism, some Muslims continue to utilize the freedom of speech available in the West to claim that suicide bombing is a noble and Islamically justifiable defense strategy. These individuals who defend and support suicide bombing [sometimes even when targeting civilians] succeed only in branding Islam as a barbaric religion that inspires violence. They also belie the majority of Western Muslims who condemn it and make it look as if they are dissimulating and lying. This promotes the canard that western Muslims are all secretly supporters of terrorism and that Islam indeed teaches violence. Those who continue to hem and haw on the issue of condemning suicide bombings by invoking â€œcomplex realitiesâ€ and resorting to moral relativism work, intentionally or unconsciously, with Muslim radicals in undermining the fundamental moderation of Islamic teachings. Equating the war on Terror to the war on Islam: Some radical Muslim commentators have been insisting that the war on terror is actually a war on Islam. Unfortunately the history of American foreign policy and the USâ€™ recent actions in the Muslim World have convinced many Muslims that the US is at war with Islam. Ironically these radical commentators themselves equate Islam with terror when they translate the war on terror as war on Islam. For Western Muslims this is an unacceptable interpretation of what is happening. First of all it is not true. Islam continues to thrive in the West even today. The prominent role played by American Muslims in the Presidential elections of 2004 is clear proof that in spite of growing Islamopheobia and the Patriot Act American Muslims still remain a vibrant force and far from being snuffed out. Yes, they are targeted and profiled because of the actions and discourses of radical Muslims, but most of them will testify that the war on terror is not a war on Islam. In Europe the presence of Muslims has transformed Europeâ€™s foreign policy, its relations with the US and its posture with regards to the Arab-Israeli conflict. Today Europe seeks to balance USâ€™ support for Israel. Muslim commentators who continue to propagate these claims are trying to insert a wedge between Western Muslims and their homelands. They wish to use Western Muslims as a weapon to subvert the West from within, but in the process sacrificing the community. Those who insist that the West is at war with Islam do a grave disservice to Western Muslims and to undermine the prospects of future good relations between the West and the Islamic World. Demonization of the West and Democracy: The third theme in the radical Muslim discourse includes a rhetorical demonization of the West as evil and democracy as hypocrisy. In a curious way the very existence of this â€œfree radical discourseâ€ is indicative of how strong democracy is across the board in western countries. But this constant demonization of the West (America and Europe), ridicule of their values, icons, their religious beliefs, their secular beliefs and cultural practices may very well lead to the elimination of free speech and the diminishing of democracy. As far as Western Muslims are concerned, the 19 Muslims who attacked the US on 9/11 have caused them untold misery; they cannot allow it to be amplified through irresponsible statements from within their own communities. We recommend that Western Muslims become more organized and aggressive in marginalizing and condemning voices that justify violence, incite hatred and practice demonization of the other. How can community members and leaders fight bigots in the mainstream community and the rising Islamopheobia if some within their own ranks mirror the same fear, ignorance and prejudice? When some one from the community makes a radical statement, community leaders must immediately condemn it and demand a retraction and an apology before anyone else does it. Once radicals realize that the community will not tolerate their extremism, and will take lead in condemning them, they will fade away. The struggle for acceptance of Islam and Muslims in the West cannot be divorced from the acceptance of the West within its Muslim communities. Contributors: Dr. Muqtedar Khan is Associate Professor in the Department of Political Science and International Relations at the University of Delaware. He is also the Director of the Islamic Studies Program. He earned his Ph.D. in International Relations, Political Philosophy, and Islamic Political Thought, from Georgetown University in May 2000. For more, visit Ijtihad.org. We are glad to him for his permission to publish this article in our magazine. John L. Esposito is University Professor & Founding Director, Professor of Religion and International Affairs and Professor of Islamic Studies. His specialty is Islam and Politics, Religion and International Affairs, Islam and Global Terrorism, and the impact of Islamic movements from North Africa to Southeast Asia. Visit Ijtihad.org. This article was published in Ijtihad.org, The Q-News [Feb. 2005 - UK], The Muslimwakeup.com [Feb 18, 2005 - USA], AlMuslim.com [Feb. 17, 2005 - USA], Iqra [Feb 18, 2005 - Canada], Closer [Feb 21, 2005 - Netherlands]. 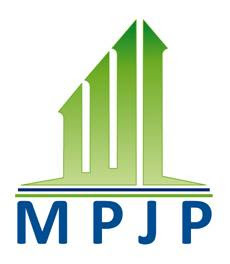 Research Institutions such as The Brookings Institution, Zogby International and ISPU also carry it on their websites. Shorter versions have appeared in Beliefnet.com [March 9th, 2005 - USA] and Islamic Horizons [May, 2005 - USA]. Thanks Yoginder for the comprehensive write up on the governance side of Islam. El-effendi has touched just about every critical element of the Muslim society. There is another critical element that needs to permeate in human psyche; that my faith is dear to me and works for me, but to claim “my way is the only way” is sheer arrogance. It is the arrogance that breeds conflicts and leads to wars and oppression, the very thing the wisdom of Islam opposes. Indeed, the least person God likes is the one who is arrogant, the idea behind the wisdom of Islam and every religion is to promote peaceful co-existence where we learn to accept and respect the God given uniqueness of each one of us. As beauty is in they eyes of the beholder, faith is in the heart of the believer. We have to re-assess if there was indeed an Islamic government at all? Prophet Muhammad did not assign a priest or a clergy to carry the religion forward; indeed, there is no clergy in Islam. The religion was complete and the responsibility to follow the moral conduct of co-existence was assigned to each individual, as the individuals are accountable for their own actions and not any one else. Weren't the first caliphs selected out of consensus to govern the public affairs and not religion? Abdelwahab El-Affendi is a well-known Islamic scholar and political philosopher from Sudan , presently based in London . Author of numerous works, his latest book, provocatively titled ‘Who Needs an Islamic State?’ discusses what he regards as the serious lacunae in contemporary Islamist political thought, which, in his view, have caused Islamist movements to reach a virtual dead-end, creating many more problems (for Muslims as well as others) than they have been able to solve. El-Affendi seeks to argue the case for a paradigm shift in Muslim political thinking in order to fashion a contextually relevant understanding of Islam and its role in, and relation to, the public sphere. Islamism may be described as a version of Islam predicated on the centrality of the notion of an ‘Islamic state’ whose principal function is to enforce, and rule by, what is conventionally regarded as shariah law. Islamism is far from being the homogenous phenomenon that it is often taken to be. Nor are all versions of Islamism necessarily incompatible with democracy. Undeniably, however, many forms of Islamism are. Islamist ideologues, driven by triumphalist, even apocalyptic, fervor, have failed to a develop consistent position on such crucial issues as limits to state authority, people’s participation in law-making and governance, the role and status of non-Muslims and women and the question of violence. Almost all recent experiments in setting up ‘Islamic states’ have involved tremendous bloodshed, conflict and large-scale suppression of democratic rights, including of Muslims themselves. The tantalizing utopian society that Islamists promise to usher in seems to recede even further into the realm of possibility once Islamists come to power. This, in brief is what El-Affendi argues in his book. He contends that, once in power, Islamist parties inevitably turn sternly authoritarian. This is inevitable, he suggests, because the leaders of these parties firmly believe that their understanding of Islam corresponds most closely to the Divine Will and hence cannot be opposed and must be imposed, even against the opposition of a significant section of the population, Muslims as well as others. Islamists in power generally have a very poor record of respecting democracy, though the author rightly notes, it is unfair to blame them alone for the serious democratic deficit in much of the Muslim world since they are more often than not the victims of despotism, both of Western imperialist powers and of regimes in Muslim counties closely allied to the West. Yet, he insists, even victims have choices. When out of power, the ‘misguided anti-democratic rhetoric’ of Islamists provides many a despot with ‘an alibi and a pretext to oppose democratisation’, and in the few instances when Islamists have managed to acquire power, their record in upholding democratic rights has generally been dismal. El-Affendi believes that values underlying democracy, such as justice, fairness, decency, rational conduct, can be said to be ‘total harmony’ with a certain broad and inclusive understanding of Islam. The anti-democratic thrust of much contemporary Islamic political thought is thus not a necessary outcome of Islam itself. Rather, the he argues, it owes much to the fact that Islamism emerged as a response to Western colonialism and the collapse of the Ottoman Caliphate at the hands of Western powers. That historical context in which it emerged favored an authoritarian vision of state. Yet, El-Affendi says, that model of the state is outdated and does not do justice to the demands of Islam, for it miserably fails to guarantee justice and basic freedoms that, in his view, Islam insists upon. At the same time, he is not unmindful of the present imbalance of power at the global level that is heavily tilted against Muslim countries. One way to address the problem, he suggests, is for at least one leading Muslim state to be set up or promoted that would be accepted by other Muslim countries as a sort of leader, in the same manner in which the USA is accepted as the leader of the West. This would be less ambitious than the classical Muslim Caliphate, and would fall short of leading to a European Union sort of arrangement, though it could eventually lead to it. Such a state, which should be a viable democracy with a strong economic base and vibrant cultural life, could, he believes, play a major role in addressing the endemic instability of the Muslim world. He holds this out as a realistic alternative to the utopian vision of the Caliphate in Islamist circles. A major concern of El-Affendi is to critique certain key aspects of traditional and contemporary Muslim political thought and discourse. He laments that many Muslims are reluctant to review the Muslim political heritage, somehow treating it as sacred, and even ardently defending those aspects of it that are patently immoral and, therefore, un-Islamic. For Muslims to critically reassess this heritage, he points out, does not mean abandoning the absolute commitment to the ideals that shaped it. A major aspect of Muslim political thought that he subjects to incisive critique is what he regards as its extreme idealism and the related tension between the ideal and the reality of Muslim political life. Islamists, he argues, are impelled by an extremely idealistic, indeed utopian, vision of the world, one that has scant concern for realism. Hence their willingness to resort to violence and authoritarianism to serve what they believe are divine ends. Hence, too, their ultimate failures. Commitment to Islamic ideals must go, El-Affendi advises, with what he calls a ‘healthy realism’. Another major drawback of traditional Muslim and modern Islamist political theory is, El-Affendi tells us, that since it is based on the notion of the Caliph as a virtually saintly leader, there are no proper checks and balances to his powers. The insistence on perfection in the Caliph, he perceptively notes, ‘has automatically removed from the community the right to criticize him, for everyone is by definition less pious, less learned and less wise than he is.’ The solution to the problems of the Muslim ummah was believed to depend on the arrival of an individual saintly ruler, which is precisely what leaders of various Islamist groups and Muslim messianic movements projected themselves as. The waiting for this ‘impossible arrival’ was, El-Affendi comments, ‘bound to relegate Muslim thinking to the realm of mythology and passive ineptitude.’ He suggests that Muslim political theory be revised by detailing the ideals inherent in Islamic history and norms in a more realistic fashion, and by insisting that they be adhered to in practice. In this regard, El-Affendi argues for effective checks on the powers of the Caliph or amir or leader of the Muslim state, because, he says, the conventional notion that the Caliph cannot be a tyrant because only the most pious persona can be selected for the post is wholly unrealistic. He notes that some scholars suggest that the amir be bound by the consensus (ijma) of the ulema, but he prefers to concur with the suggestion of Hasan al-Turabi, head of the Sudanese Muslim Brotherhood, who argues that the amir should follow the ijma of the people, whose choice should be enlightened by religious as well as secular experts. El-Affendi also approvingly refers to the noted Tunisian Islamist Rashid al-Ghanoushi, who stresses that Islamist movements should consider themselves as just one among many actors within a liberal-democratic state and that they should regards themselves neither as the guardians of Islamic morality, nor as the sole authority as regards the interpretation of Islam. In other words, an Islamist party must shed its monopolistic tendencies and see itself as just another political party offering its programme to people, inviting them to decide freely between it and its rivals. In such a scheme of things, Islamic parties must acknowledge that there is always a possibility that they could lose to non-Islamic parties in freely-held elections, and they should respect the verdict of the electorate. Another key aspect of Islamist political thought that El-Affendi scrutinizes is its vision of the state that is based on the notion of what he aptly terms ‘a principle of restriction’, which he contrasts with the original Islamic vision of the polity as based on ‘a principle of liberation and self-fulfillment’. This model is based on the notion of a benevolent autocrat who rules mainly though punitive powers. Not surprisingly, this model has throughout Muslim history been used by despots to shore up their own legitimacy and powers. Another crucial flaw of this model is what he terms as the ‘totalitarian quasi-utopian vision in which the Islamists conceive of a mighty state dragging an unwilling community along the path of virtue and obedience to the law’. This is reflected in their concern mainly with legal prohibitions and restrictions in the law. The citizen that Islamists seek to mould is essentially someone who is deprived of the freedom to sin, but, ironically, also one who lacks the freedom to be virtuous either. El-Affendi argues that this was certainly not God’s purpose when He created human beings endowed with free will. Similarly, with reference to the notion of ummah, which some radical Islamists argue must translate into political unity of all Muslims across the world, El-Affendi chooses to side with those Muslim thinkers who consider that the notion does not preclude allegiance to a particular state. True, he argues, a Muslim’s ultimate loyalty must be to God, not to a community or state. Yet, other loyalties, such as to the family, tribe, nation and country, need not be seen as necessarily contradictory to this ultimate loyalty. This is why, he says, Islam recognized these other facets of identity, but sublimated and gave them a new expression within the new context of belief. In some ways, he adds, modernity and the modern system of nation- states can actually help advance some Islamic ideals. In theory, modernity allows for democracy, freedom (albeit one controlled by social responsibility and spiritual welfare), justice and peaceful interaction between different peoples, thus promoting the creation of a truly global community, which, El-Affendi says, is in accordance with Islamic teachings. In this regard, Islam, properly understood, can play an important role as a source of moral guidance to create a peaceful and just world order and to end the present heavily-skewed global imbalances of power and resources. El-Affendi sees this as part of the mandate of a community that regards itself as a ‘witness over mankind’, which should manifest itself in transcending self-interest in favour of global responsibility, attacking consumerism, nurturing the environment and offering an alternative to the international order based on the notion of the egotistic nation-state as a collection of individuals and groups motivated largely by narrowly-defined self-interest. These notions should, he argues, be recast in a moral context by redefining the role of the Muslim ummah as the conscience of mankind. One of El-Affendi’s serious concerns with traditional as well as contemporary Muslim political thought is that it does not adequately provide for formal decision-making mechanisms suitable for a complex, modern state. One reason for this is that both are based on the model of the small-scale and closely-knit polity established by the Prophet in Medina , which, in turn, was built on a society characterized by mutual trust, close personal interaction and easy, mainly face-to-face communications. The charismatic nature of the leadership provided by the Prophet made it unnecessary to have formal decision-making structures that would require all leading figures to take part in the political process. Today, however, El-Affendi notes, the situation is vastly different, and more institutionalized and formal arrangements for decision-making and power-sharing are required in order to administer large nation-states. This is something that Muslim political thought has not devoted sufficient attention to. In this context, El-Affendi argues that that the idea of a single Caliph, so central to traditional Sunni political thought, may have to be replaced in favour of rule by a council of people, a system more in tune with the concept and realities of the modern state. El-Affendi is also critical of the Islamists’ tendency to hanker after a single saintly hero, in the model of an ideal Caliph or a Mujaddid or a Mahdi, who could, almost miraculously, solve all the problems of the Muslims in particular, and the world in general. He rightly regards this as misplaced utopianism, pointing out the impossibility of applying political techniques suitable for small city states to vast countries. The classical Sunni caliphate model that both traditional ulema and Islamists seek to recreate, he insists, belongs to the category of republican city-states of the past and is unworkable in today, in a world of vast, multi-ethnic, modern states. An aspect of the political practice of many contemporary Islamist groups that engages El-Affendi’s concern is what he regards as their overwhelming focus on the fight against foreign enemies, whether real or imaginary, which has been at the cost of the struggle for internal reforms within the Muslim community. This indicates a lack of sufficient introspection and self-critique and an unfortunate tendency to blame others wholly for one’s own weaknesses, failures and travails. Because of this, he argues, all sorts of corruption, despotism, mismanagement and ineptitude have been tolerated among Muslims ‘in the name of the fight against this enemy or that’, while ‘the enemy within, the biggest of all, was left untouched’. A key aspect of the practice of modern Islamist movements that El-Affendi finds greatly problematic is their near obsession with ruling through restriction, control and punishment, rather than through working for the positive enablement of their citizens. This has made for proto-fascist tendencies to emerge within their ranks, ultimately causing the very people whom they supposedly wanted to reform in the name of Islam to oppose and even, as in some places, revolt against them. This, so El-Affendi says, was not the original Islamic idea of a political community, and can only be counterproductive to the cause of building up a truly moral Islamic society and polity. By seeking to ‘establish’ Islam through coercion, and thus making capture of the state and its coercive powers their first or major concern, Islamist forces might thus only be causing their own downfall, El-Affendi argues. Their harsh, authoritarian approach to enforcing Islamic morality can only lead to corruption and widespread hypocrisy, causing alienation from, rather than genuine commitment to, Islam. This means, El-Affendi writes, that the search for an ideal state must begin with the search for freedom for Muslims, including the freedom to think, to act, to even sin and to repent, to find oneself and one’s fulfillment in obeying God—only then can a truly righteous Muslim community and state emerge. This requires that, for the present, Muslims must participate wholeheartedly in the struggle for democracy, for right of every individual not to be coerced into doing anything his or her will. Only in this freedom will society be able to evolve an ethics based on the Prophetic model, wherein people submit to Islam voluntarily and abide by its rules by their conscience, not through fear of the state and its agencies of punishment. At the same time, El-Affendi adds, the freedom that he advocates is not one without moral restraints. To be free is not to be amoral. Rather, it means to be free from external, undesirable constraints. Yet, to be genuinely free also requires that the state must not be totalitarian, contrary to how several modern Islamist ideologues have conceived of it. The ideal Muslim state, as well as the Muslim community in general, does have the duty to help each individual achieve his or her moral potential, but it cannot shoulder the individual’s ultimate duty with regard to his or her own actions. El-Affendi recognizes that for any political community to function there has to be an element of coercion involved, but, he says, the ideal polity cannot approve of any element of coercion other than the minimum inherent in the principle of community itself. The Muslim state or the Muslim community cannot compel people to be righteous against their will, for that would only lead to hypocrisy, which Islam abhors. This is also a sure recipe for despotism, as the state, imagining itself to be the instrument of the Divine Will, can easily assume its moral duty to be to compel people to act against their own conscience. In other words, then, the state must be a democratic one, based on the free will of its citizens and the principle of peaceful resolution of differences and free debate about the demands of Islam and the operation of the community. It should also respect cultural and religious pluralism, and accommodate non-Muslims as equal citizens with equal rights and freedom. El-Affendi argues the case for a polity in a plural society as being an association of independent religious communities coexisting with each other, governed by a treaty rather than by a rigid Constitution in order to give the communities greater autonomy. Such a treaty would detail the rights and duties of all communities and would safeguard their common existence, similar to covenant of Medina covenant that brought the Muslims, under the Prophet, with the non-Muslim communities of Medina , in a common polity. This would be a different sort of polity to the conventional modern state. Communities would join together not as subjects of an all powerful state, but as members of communities united voluntarily, each pursuing its own way of life in full freedom. This polity would allow for only that much coercion as is needed to safeguard and maintain the polity itself, but coercion would not the basis of the polity. In such a polity, a person would be free to join the community and polity of his or her choice or leave freely, something that is absent in the current international order, where citizens must conform to state-dictated norms and where freedom of movement to join other polities is severely restricted. In place of the territory-based modern state, El-Affendi suggests a polity which is not strictly territorial, and an international order based on peacefully co-existing communities rather than territorially-based and mutually exclusive nation states. It would not be an intrusive, coercive organisation that seeks to impose specific norms. Instead, it would be a co-operative association to help people to live freely according to the dictates of their conscience. It would conform to the shariah, but the shariah would not be imposed. Rather, the conformity to the shariah would be to the extent of the free expression of the free will of its Muslim citizens. Such a state is to be distinguished from conventional states in that it has a higher moral purpose. It should, El-Affendi says, serve as a light for all humankind, and not being engrossed, as all other states are, in an endless search for comforts and material goods for its people. It must be characterized by a philosophy of giving and sharing, unlike conventional states, whose component groups vie with each other for the maximum possible self-aggrandisement. This brings El-Affendi to the greatly controversial issue of the imposition of the shariah. He persuasively argues that attempts to force Muslims to abide by the shariah have inevitably failed in the past, and have even proven counter-productive. In this regard, then, conventional Islamist political thought is gravely lacking. The shariah, El-Affendi says, can rule only through the willing consensus of Muslims, when the community observing it perceives it as a liberating act, as the true fulfillment of the self. In other words, since the shariah must entail willing compliance to its rules, in actual fact it can never be imposed, whether by the state, an Islamist party or by Muslim clerics. When it is imposed against the will of the people, it is no longer shariah. When only coercion, not consent, underpins the rule of the shariah, it becomes hypocrisy. The issue of the enforcement of the shariah by the state also shapes the way in which Islamists conceive the state itself—as almost an end in itself, or, at least, as the principle means to enforce the shariah. El-Affendi points out that this displaces the role of individuals in establishing justice, making social activity, including the dispensation of justice, dependent on the will of rulers, who can thereby easily turn into despots. Islamists often take the state as end in itself. And, since the Islamist party or the ‘Islamic’ state comes to be seen as an end in itself, in many cases self-styled Islamic movements have exhibited an unfortunate tendency of allowing their ends to govern their means, not stopping from engaging in blatantly un-Islamic and criminal acts, such as killing innocent people and engaging in terrorism, in order to achieve what they regard as noble ends. El-Affendi insists that Islam does not allow for this sort of approach at all. El-Affendi is particularly critical of modern Islamist ideologues, such as the Egyptian Syed Qutb and the Pakistani Abul Ala Maududi, who conceived of an ideal Islamic state as being totalitarian, anti-democratic, authoritarian and coercive. He is bitter about what he calls the Islamists’ ‘self-righteous pretensions’, which translates into ‘a readiness to resort to violence at the slightest pretext’. He likens them to the Khawarij or Kharijites, an early splinter group from among the Muslims, who saw themselves alone as true Muslims, and the rest of the world, including other Muslims, as deviant, aberrant, even anti-Islamic, thus ruling out any room for compromise. While still upholding the notion of a Muslim state moulded or guided by religio-moral concerns and principles, el-Affendi points to the serious gaps in modern Islamist political thought, indicating the way forward for the emergence of a genuinely democratic, pluralist and contextually-relevant Muslim political discourse. We invite you to be a part of a greater vision to be shared at a National Conference of American Muslims. Rarely in human history has an opportunity existed before a minority to become a catalyst of change as it exists now before the American Muslims. 1. To consolidate our diverse community and raise a visionary leadership. 2. To engage with the due process, the governing institutions, and the civil society to create a dialogue of change. 3. To promote conflict resolution and constructive engagement that can offer diplomatic alternatives to military endeavors. 4. To work towards the common interests and welfare of both America and the Muslim world -- a win-win situation. 5. To work against Islamophobia and the negative stereotypes of Muslims in the West, and to help uplift the image and position of Muslims and their respective work in America and beyond. 6. To help raise a moderate and effective voice to invalidate extremism and bigotry. To address why, how and what to do about this enormous responsibility before us we --a group of Muslims are organizing an exclusive and in-depth meeting in Dallas, Texas on July 19th of 2009. Our goal is to help bring about a leadership to create an effective political and social force of transformation both in the West and in the Muslim world. We commit to involve aggressively in dialogue and diplomacy and remain steadfast in constructive engagement and conflict resolution. America is a vital place to spearhead such a movement of change on the national and the international fronts. Realizing our potential and responsibility we -- a group of sincere American Muslims - have been working on this idea for the last several years. Recently with the new vision and approach of the Obama administration and the promise of cooperation with the Muslims, we feel the urgency to spearhead this work and take it to the next level now. Our upcoming meeting in Dallas is about consensus building, goal setting and fundraising for the cause. We are at the formative state. Therefore, Inshallah, whoever would come forward and take up the torch with us today would be the pioneer of peace and progress tomorrow. If you prefer to spend your night with other participants in a less formal environment our members in Dallas would like to host you in their homes. (We have limited rooms, so priority will be given to the early applicants). Please contact the following as soon as possible, whether you will be participating in the conference and if you would like to stay with a host family. To be a Muslim is to be a peace maker, one who constantly seeks to mitigate conflicts and nurtures goodwill for peaceful co-existence of humanity. God wants us to live in peace and harmony with his creation; Life and Matter.Our Mission is to work for a world of co-existence through inclusiveness and participation. As a member of diverse family of faiths, our efforts will be directed towards justice and equity to attain peace for the humankind with a firm grounding in commonly held values. We cannot have advantages at the cost of others. Such benefits are temporary and deleterious to lasting peace. We believe what is good for Muslims has got to be good for the world, and vice versa, to sustain it. It must surely rank as the most mundane business launch in history. 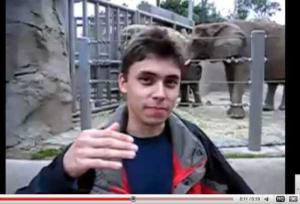 Jawed Karim, one of the founders of YouTube, shuffles timidly in front of a video camera while standing in front of a group of elephants at San Diego zoo, with precious little idea of what he was starting. "The cool thing about these guys," he says, nervously gesturing behind him, "is that they have really long trunks. And that's pretty much all there is to say." This 19-second video clip, uploaded to the brand-new website later later that day, 23 April 2005, may have been insubstantial, but it certainly wasn't inconsequential. Within 18 months, Karim and his partners Steve Chen and Chad Hurley had sold YouTube to Google for $1.76bn, and in doing so became one of a select band of online entrepreneurs who managed to grab our attention – and keep it. Innumerable jaded web entrepreneurs will tell you how easy it is to get thousands of people to glance at a site, but how tortuous it is to get people to stick around or even come back again the following day. Not only do you have to fulfil a desire that people didn't even realise that they had, but it has to be done with such style and panache that your service becomes indispensable. While the internet may have dismantled many of the traditional barriers to reaching us, the general public, if your idea is anything less than sensational, we will flatly ignore it. But YouTube was sensational. Prior to its launch, creating a videoclip for someone else to watch online was an arcane and deeply frustrating procedure of digitisation, encoding and embedding that was way more trouble than it was worth – not least because incompatible technologies meant that many people wouldn't be able to watch it. But from humble beginnings in a room above a pizzeria in San Mateo, California, Hurley, Chen and Karim made the process simple, they made it relatively quick, and above all else, they made it free. By mid-2006, the site was fizzing with activity as we started using our YouTube channel as a jukebox, a blogging service, a promotional tool for our bands, a home video vault, a repository of famous film and television moments – sometimes with the blessing of the copyright owners, more often without it – and just occasionally, it provided an unexpected route to stardom. YouTube entered the lexicon and became synonymous with online video; the former Secretary of State for Local Government, Hazel Blears, dropped the phrase "YouTube if you want to" into an attack on Gordon Brown's style of Government. Blears making a feeble joke about YouTube is just one small measure of its phenomenal success. But while its staggering popularity is without question – some 345 million visitors worldwide descend upon the website every month – it is heamorrrhaging cash. The question of exactly how unprofitable it is continues to be the source of fierce debate online; back in April, analysts at Credit Suisse estimated that its operating losses for this year would reach $470m, while San Francisco-based IT consultants RampRate were more optimistic, but still put the figure at just over $174m. Google aren't rushing to put an end to speculation over the scale of the debt. One thing is abundantly clear from both studies: Google isn't making money by letting everyone and their aunt share videos with each other for free. And the news last week that founder Steve Chen was leaving YouTube to work on other projects at Google kicked off another flurry of rumours as to its possible fate. Music, television, sport, gaming: the flow of free entertainment to our computer screens seems almost the result of a magical process, and there's been little need for us to consider the costs that might have been incurred by those making it all happen. It's broadly accepted that YouTube will receive around $240m of revenue from advertising this year, but that sum doesn't even cover their general overheads and the cost of acquiring premium video content (such as TV shows) from copyright holders. In addition, there are the huge fixed costs from the supply side – data centres, hardware, software and bandwidth – that have to cope with the 20 hours of video clips that we upload to YouTube every minute of every day. Again, no-one knows the true total of these costs – the Credit Suisse and RampRate reports put it between $83m and $380m this year – but Google's Chief Financial Officer, Patrick Pichette, would only reveal one thing: "We know our cost position, but nobody else does." Or, in other words, we're not telling you. This typifies the slightly secretive but ultimately sanguine position of Google even as phrases like "financial folly" are bandied about to describe the YouTube business model. With Google's overall profits reaching some $1.42bn for the first quarter of this year alone, the king of online search is certainly a position to support a loss-making venture that also happens to be the third-most-popular website on the internet. (Google, naturally, is the first.) But Keith McMahon, senior analyst for the Telco 2.0 Initiative, a research group that studies business models in the digital economy, believes that YouTube is not the albatross around Google's neck that it's widely imagined to be. He sees the search company as deriving massive indirect benefits from operating YouTube and believes that estimates of its losses obscure the true picture. "There are many urban myths surrounding the way that companies extract value from the internet," he says. "Google's spin-off benefits from owning YouTube include the accumulation of our data and strengthening of their network design – and the more time people spend watching online video, the more advertisers will pour into marketing on the internet as a whole. There's no doubt that Google can afford YouTube." McMahon also believes that by keeping quiet about YouTube's hidden benefits and by allowing the misconception of it as a deeply unprofitable business to circulate, things work very nicely in Google's favour when it comes to negotiating with copyright holders in the world of TV, movies and music. Copyright holders can't demand money that isn't there, and it would certainly take no more than a hint of profitability at YouTube for lawyers to descend, threatening court cases and demanding higher royalties. In the new, topsy-turvy world of online economics, it seems astonishing that losses on paper have actually made YouTube a more powerful online force. But while Google's pockets may be deep enough to operate a phenomenally popular online service at no cost to its users, what about the countless other internet startups whose operations scarcely extend across a dingy office, let alone several continents? With the free model slowly establishing itself, how can businesses sustain their activities? Sadly, the most common answer is: they can't. The traditional way to generate revenue and offset losses has been to sell some form of advertising space on the website. But an increasing number of industry commentators believe that the internet advertising model is broken – and what better proof than YouTube itself, whose advertising revenues don't even cover their overheads, and who might be dead in the water if it wasn't for their multinational sugar daddy? In a piece this year for the insider's technology blog, TechCrunch, entitled "Why Advertising Is Failing On The Internet", Eric Clemons, Professor of Operations and Information Management at the University of Pennsylvania, argued that the way that we're using the internet has shattered the whole concept of advertising. We need no encouragement to share our opinions online regarding products and services and offer them star ratings; as a result, we're much more likely to look for personal recommendations from other customers than wait for a gaudy advert to beckon us wildly in the direction of a company website or online store. He claims we don't trust online advertising, we don't need online advertising, but above all we don't want online advertising. There's certainly a huge weight of evidence to support the latter theory; extensions for web browsers that block advertisements from displaying on the screen have proved to be incredibly popular, and we seem increasingly resentful of attempts by companies to compromise our free online experience by pushing marketing messages in our direction. Spotify, the online jukebox launched this year, has won countless plaudits for its innovative, free and legal approach to online music, but you don't need to look far online before finding users who bitterly complain about the brief audio adverts that play every 20 minutes, interrupting the flow of the new Kasabian album. One comment on a story about the possible expansion of YouTube's advertising is typical: "If advertising is made one iota more intrusive, I shall use other video sites instead." Small wonder that YouTube only dare feature advertising in less than 5 per cent of the videos on the website, along with a few subtle ads in the sidebar of their search results. But while Google continues to finesse its YouTube model, with click-to-buy links and sponsored competitions, it's contended by Professor Clemons that no matter how innovative the advertising industry might become, "commercial messages, pushed through whatever medium, in order to reach a potential customer who is in the middle of doing something else, will fail". If this is true, it obviously has implications for Google, even though they're sitting very pretty at the moment as the overwhelmingly dominant force in online advertising. But other companies dependent on ad revenue aren't so fortunate. Joost, another ad-funded online video service, announced last week that it would be reinventing itself as a provider of white-label – generic – video for other businesses, and would be cutting jobs in the process. "In these tough economic times," said its chairman Mike Volpi, "it's been increasingly challenging to operate as an independent, ad-supported online video platform." But even taking the effects of the recession into account, Keith McMahon is unsurprised. "All those startups have burned through their initial venture capital money, and they've seen that the business model that they were originally planning for – this landgrab for advertising – just isn't there any more." As a leader in The Economist entitled "The end of the free lunch" put it earlier this year, "Reality is asserting itself once more ... Silicon Valley seems to be entering another 'nuclear winter'." We are uninterested, verging on contemptuous, of the marketing strategies that were supposed to pay for us to enjoy online services for free. We've become totally unwilling to pay for them directly, either; we simply figure that someone, somehow, will pick up the tab. Rupert Murdoch recently announced plans to "fix" the current newspaper business model by charging for access to News Corporation's newspaper web sites, stating that "the current days of the internet will soon be over", but Chris Anderson, the editor of Wired magazine, spends 288 pages in his new book "Free: The Future Of A Radical Price" explaining why this is ultimately impossible. He contends that information wants to be free, and that there's an unstoppable downward pressure on the price of anything "made of ideas", adding that the most worrying long-term problem for internet businesses is that the Google Generation are now growing up simply assuming that everything digital is free. They've internalised the economics of the free model "in the same way that we internalise Newtonian mechanics when we learn to catch a ball". In other words, the fact that most people over the age of 30 doubt that online businesses can survive by offering free services is irrelevant, because most people under the age of 30 are demanding them. On messageboards and forums across the internet you can see them calling for record companies, film studios, newspapers and television channels to come up with a solution that will extend their entertainment utopia, and quick; if they don't, well, they'll find a way around it. And while many see this as a selfish, unrealistic attitude, the onus is on businesses to get themselves out of this mess because the digital medium exercises unstoppable power. However much Rupert Murdoch and others may wish to control it, it's Anderson's contention that the beast is way, way too slippery. Anderson, along with other digital visionaries, tends to display a sunny optimism that new business models will inevitably step into the breach, while leaving speculation about what those models might actually be to others. But while Anderson says it's "head spinning – and exhilarating – to watch an industry reinvent itself in the face of a new medium", those working in the online economy aren't quite so thrilled. The news regarding YouTube's losses have caused such consternation because people simply can't believe that the third-most-popular website on the web is unable to stand alone and turn a profit. And suddenly, the magical web, whose supposed capacity to revolutionise business has attracted and continues to attract waves of ambitious entrepreneurs, may slowly be revealing itself as an arena in which only a few large companies can survive. This was illustrated by a tale recounted by the publisher of the Dallas Morning News, James Moroney, who recently told the US Congress about Amazon's proposal for licensing his newspaper's content to be read on Amazon's e-reading device, the Kindle: he was informed that 70 per cent of revenue would go to Amazon, with only 30 per cent to the Morning News for providing the content. It seems both unhealthy and deeply disappointing that Amazon, Microsoft, Google and the like are beginning to wield so much power; it's even something over which even Google CEO Eric Schmidt has expressed concern. But Keith McMahon says that we shouldn't be surprised. "Remember in the 1980s when the home computer boom started? The country was full of young kids coding games and selling them on cassette," he says. "But from that rose a gaming industry that's controlled by a small number of very wealthy organisations. Cottage industries that can't survive on their own will either fail, or get swallowed up." McMahon's message to online businesses is essentially one that's remained the same ever since humans first started making transactions: business is business. For all the cries of foul by entrepreneurs or copyright holders in the face of "unfair" behaviour by multinational corporations or websites such as The Pirate Bay, if you can't find the money to make your business work, that's the end of your business. Because ultimately, the market can't be fought. YouTube's lack of profitability other than as part of a colossal global multinational may signal the end of a dream that has somehow managed to extend past the bursting of the dotcom bubble back in 2001, and the options for new online ventures seem to be as follows: either produce something that people are willing to pay for, or come up with an idea for a free service that's so ingenious that a benevolent multinational is willing to take it off your hands. But remember: that trick of making a home video of yourself in front of a few elephants has already been done.